Gifts 23636 https://www.warplane.com/images/Products/23636.jpg Introducing the RCAF Backpack. Nylon construction with sturdy canvas handles and straps. 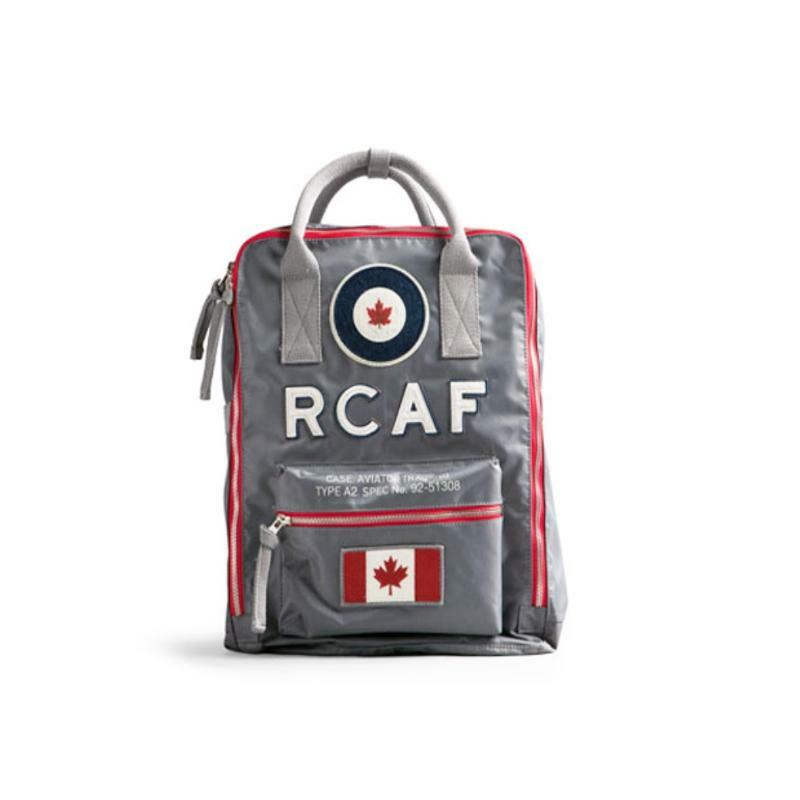 Description: Introducing the RCAF Backpack. Nylon construction with sturdy canvas handles and straps.